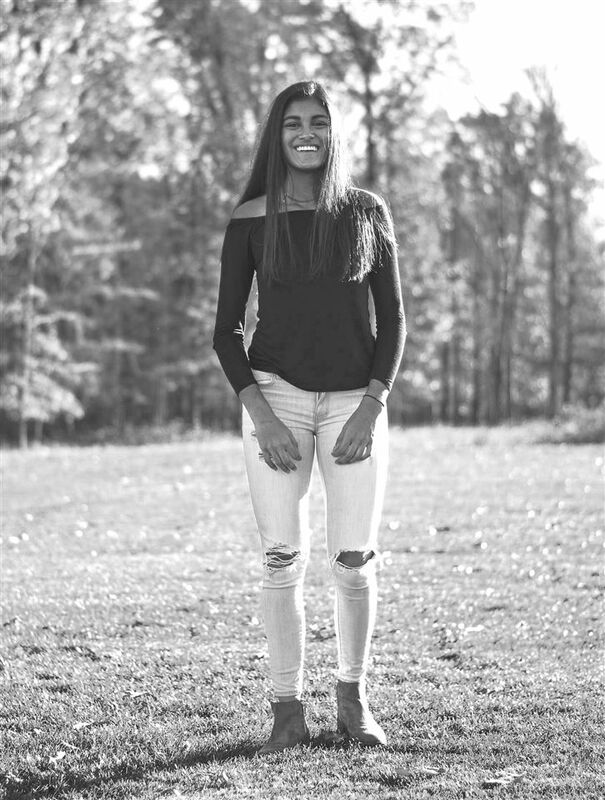 Saloni Jain '19 stuns in jeans from American Eagle and an off the shoulder top from LF. 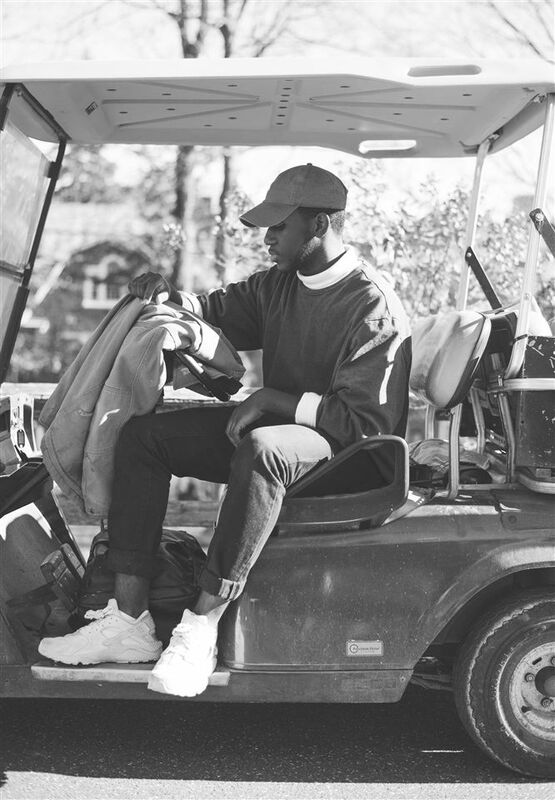 Mike Lazarre '18 lounges in a golf cart, wearing a Faded Glory turtleneck and comfortable jeans. Sophia Vranos '18 rocks a top from Urban Outfitters and J Brand jeans. John Pitkin '17 dazzles in Bullhead pants, BDG t-shirt and a Game Sportswear jacket. Who spent their Black Friday in an overcrowded mall, or Cyber Monday on the couch with a laptop on their lap for hours? The winter fashion trends are here, from oversized sweaters to ripped jeans, to keep you warm and stylish this upcoming season. The Razor interviewed four Hopkins students about their clothing choices, their style, and the must-haves for this winter season. They exhibited varying degrees of influence from others in their lives. Pitkin said, “I’ve always wanted to wear the clothes that I’ve wanted to wear. I choose out of impulse.” Pitkin said he had “no inspiration” from an external source. Based on these responses, it seems as though style consciousness and seasonal comfort weigh roughly equally on the mind of the average Hopkins student.